This latest interface integration now makes it possible to add Apple Carplay and Android Auto to the vehicle original factory fitted System. It provides the same functionality to vehicles system that were manufactured before the Apple Carplay and Android Auto option was available. This kit will provide Apple Car Play and Android Auto on the original Screen and navigate through the system via the original Comand control knob or steering wheel controls just like the factory fitted option. 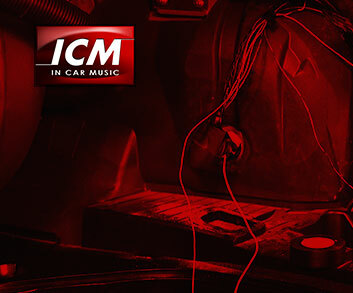 The system utilises the car's original microphone if the vehicle is equipped with factory Bluetooth, or an external microphone can be purchased with the kit. This allows integration of Voice commands through Google or Siri, and the sound is played through the car speakers via the AUX input. Integrates perfectly with the original system: Does not require you to replace or modify the head unit or any of the existing equipment in the vehicle. Operate the system fully via the original Comand controller, rotate and push to select, press the back button to enter previous menu and return to the original system at any time. The full Apple Carplay user interface is displayed on the factory screen and any of option can be selected via the original controls. The power and Simplicity of Apple Maps are now available to you allowing navigation Apple Navigation to your system, it is always up to date and easy to use! Although, the harness provided are described as plug and play, please note that you still need to have good prior installation knowledge.